20 different designs and 2 sizes each. 40 isolated designs in 1 size. Isolated designs not shown. 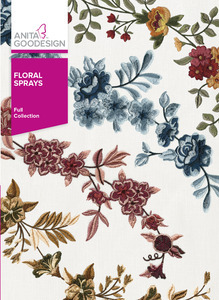 Floral Sprays is a fun assortment of floral designs we are sure you are going to love. Like you’ve seen in collections before, we used a hand drawn style to create the most realistic-looking flowers you will ever embroider. 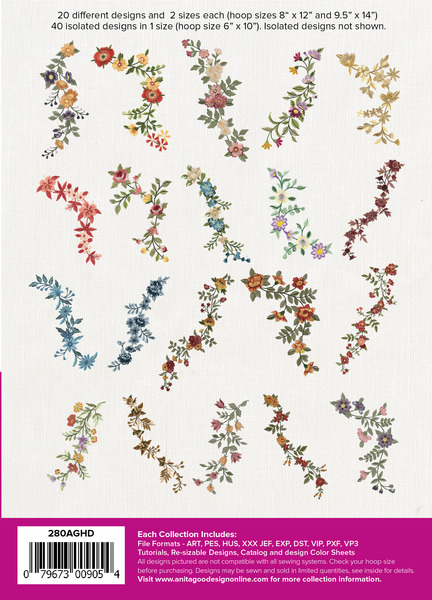 Digitized by hand, these designs were carefully created to show all the detail you would find on a real flower. Embroider these floral sprays on clothing, or a backpack or tote bag! Let your creativity run wild. The possibilities are endless.